House plants are having a moment. Here's how to keep it current when you're paralyzed by choice. 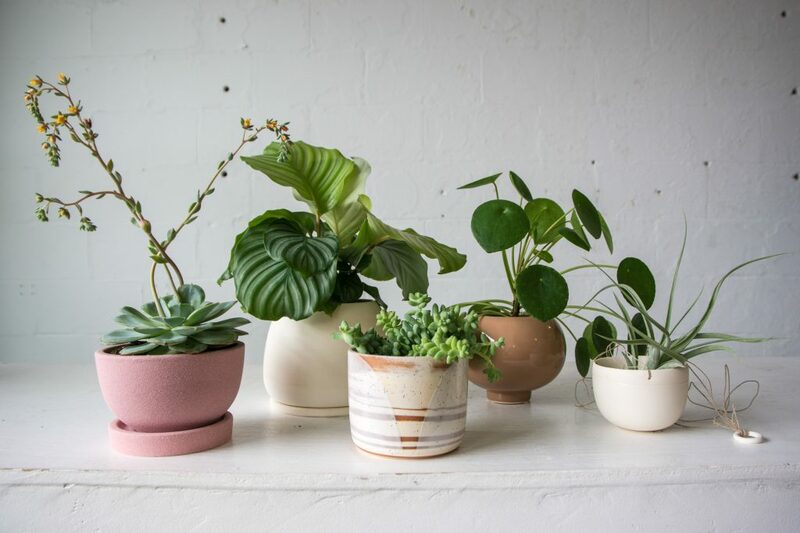 Megan Strasser knows how to pair plants with planters. Her expertise shines at Fern, the plant design studio she opened in College Hill four years ago. “It’s about being thoughtful,” Strasser says. “The plant and the pot should have just as much intention as the large furniture pieces you bring into your house. 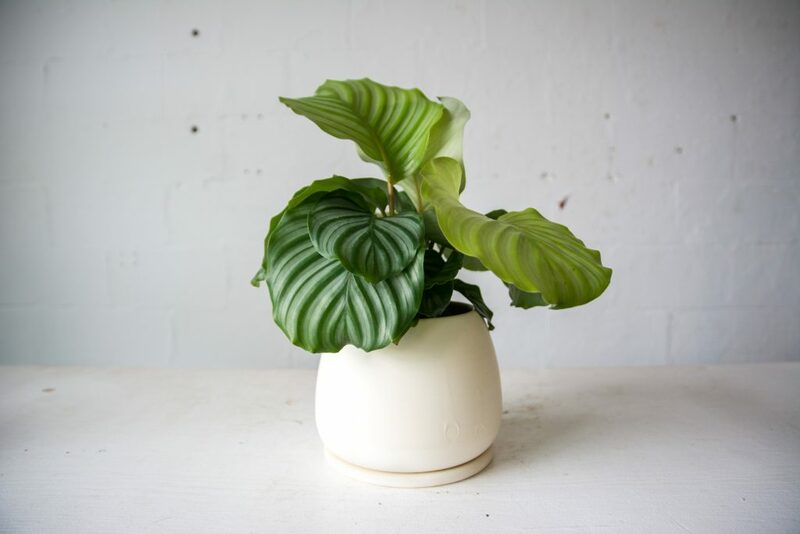 You want to choose a plant that fits your lighting conditions, but you also want to choose a plant and a pot that complement your taste and your home.” The plant and planter should also complement each other, Strasser says. So what’s her style? Sleek, simple, and “always with a touch of handmade imperfection.” See what she means with these five pairings. MS: This is probably the most quintessential Fern pairing. 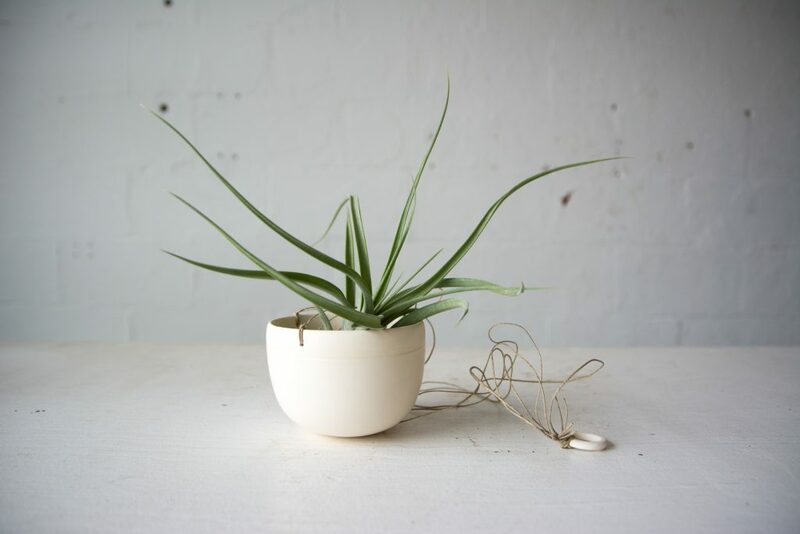 The planter is clean and has a really minimal shape and design. Because it kind of tapers in at the top a little bit, it really lends itself to plants that are a little bit fuller. You can see Christie’s fingerprints where she holds the pot when she dips it in the glaze. That’s what I mean by being imperfect. It’s that touch of handmade, where you get to see the artist’s hand making your work, which is super important to me. 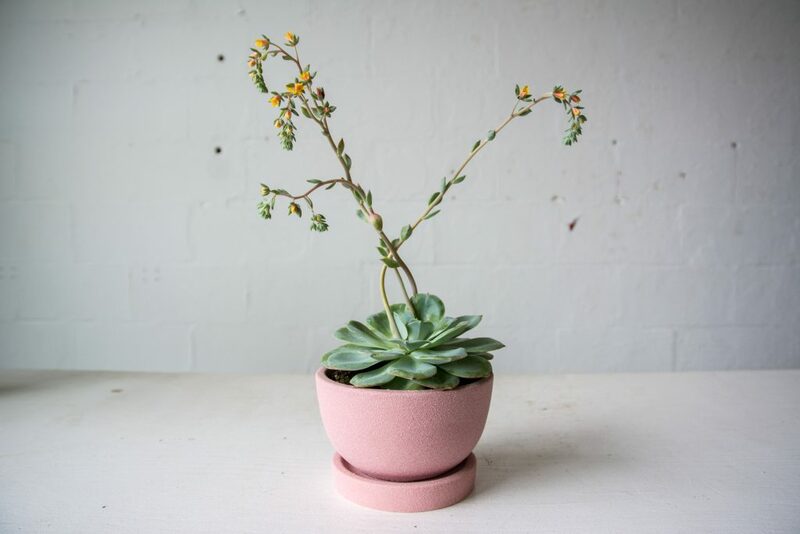 MS: This planter’s colors are really warm and soft. 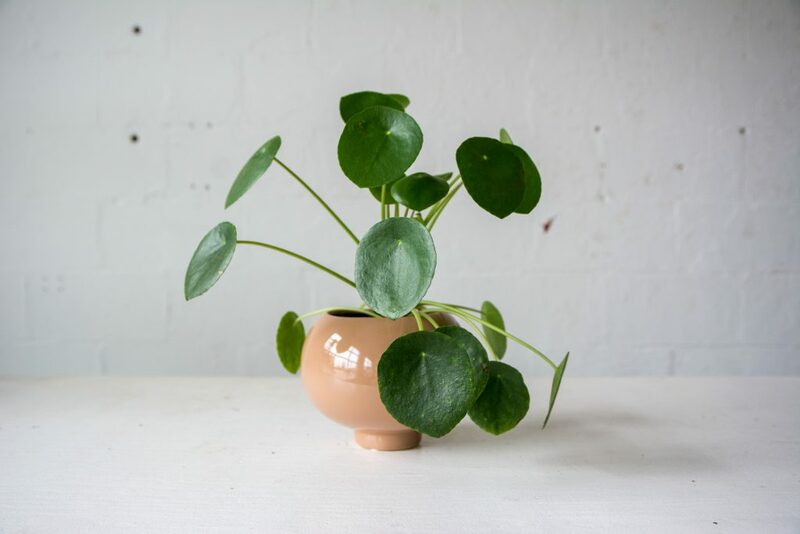 I paired it with a Pilea Peperomiobes, because the shape that the plant makes is mimicked in the shape of the planter. It’s really fun and kind of whimsical. It makes me smile. MS: People know Echeveria for their soft, muted colors. The muted green looks really nice next to the pink, and the edges of the leaves have the faint hint of pinkish-red. This particular succulent is in bloom right now, so there are three bloom spikes coming off that are flowering pink to yellow, so those colors look really nice with the pink, too. MS: This is one of the coolest pots we have in the store. She marbles the clay, so it’s a really warm, burnt terracotta-looking color mixed with a speckled white clay. When she glazes it, she hand paints a semi-circle pattern on the planter. I wanted to choose a plant that would hang over the planter to highlight the hand-painting of the glaze. 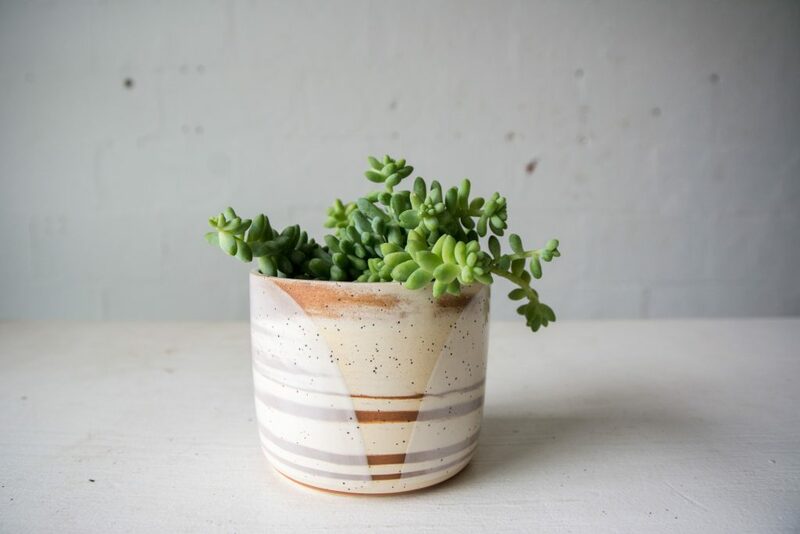 The Burro’s Tail is a trialing succulent, so you’ll see tails hanging down right where there’s no glaze. So, it highlights that part of the pot and also that part of the plant. MS: Air plants grow without soil. I like them in this planter because it really shows the planter with a pop of green coming out without that mess of brown soil. It looks beautiful in a window.